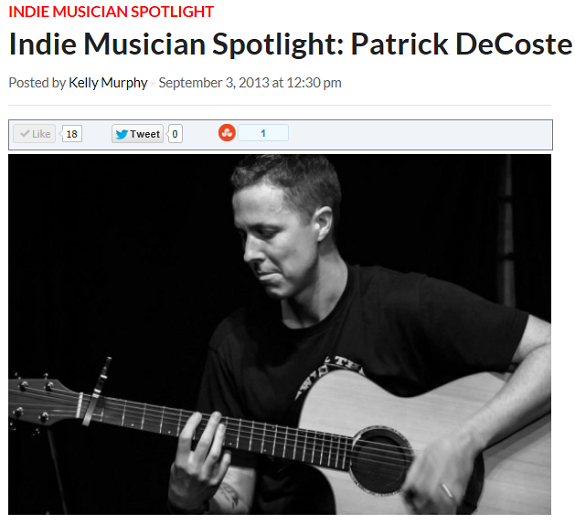 On 11/07 at 7pm, Patrick will be appearing live on RadioBDC, a Boston-based commercial alternative rock music internet radio station. You can listen in or stream here: http://www.boston.com/ae/radio/player/?p1=RadioBDC_Index_Page_Listen_Live/. On Monday, October 28th from 7pm – 10pm, Patrick will be leading a workshop featuring his renown “Office By Day, Rock Star By Night” series. This event is free and open to all ages. Presented by Almost Famous on 95.9 WATD FM and hosted by the Tinker’s Son.